Vanguard Aquatics is a non-profit youth sports organization based in Huntington Beach and Santa Ana. We are dedicated to providing the best water polo experience to kids of all ages and skill levels. To learn more and to see the locations of our pools please click on "ABOUT US" menu item. * To register for the session please click on "EVENTS" menu item. A group of people leading the way in new developments/ ideas. A position at the forefront of new movements. Vanguard Aquatics Spring Session is STARTING! Check out practice times for various groups on the registration page and calendar page!! Check out the video below to see what Vanguard Aquatics is all about! Check out the short promo version below! 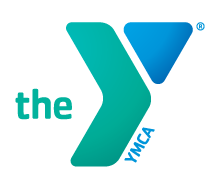 Santa Ana YMCA is the partner of Vanguard Aquatics. Click here for their website and here for their Facebook page.